1950. 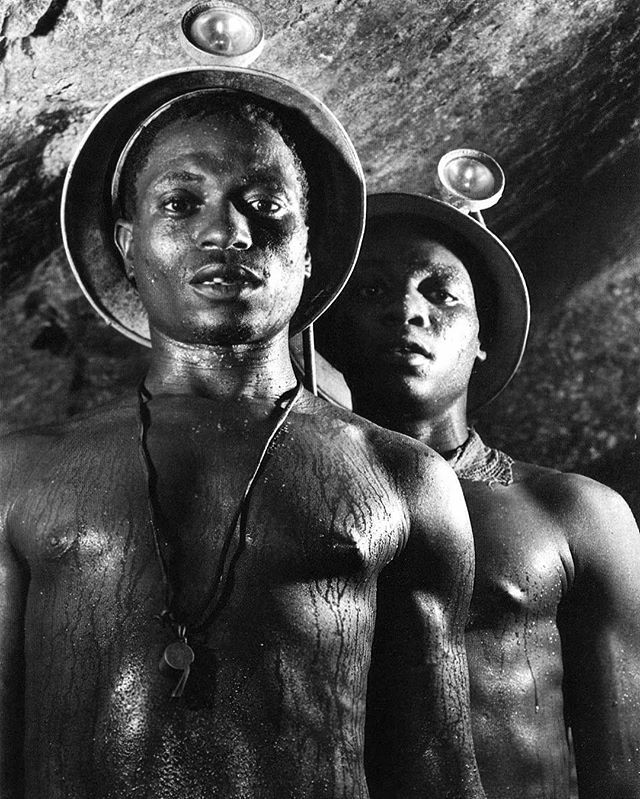 A pair of miners, wearing helmets and perspiring heavily, Robinson Deep Gold Mine, Johannesburg, South Africa. Photo by Margaret Bourke-White.